Philip Touitou has extensive experience representing clients in complex commercial litigation matters. His practice focuses on business disputes, including corporate class actions, breach of contract, breach of fiduciary duty, business torts, professional liability, directors and officers' liability, captive insurance liability and insurance coverage matters. 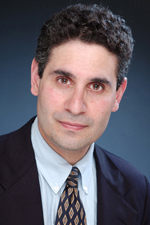 Mr. Touitou joined Hinshaw & Culbertson LLP in July 2004. Previously, he was a partner at a mid-sized New York law firm, where he served as chair of the firm's Continuing Legal Education Committee and as a member of the Partner-Associate Liaison Committee. In 1988, he worked as a judicial clerk/intern for Hon. Alfred M. Wolin of the U.S. District Court in Newark, New Jersey. From 1989 to 1992, Mr. Touitou was an associate with the Newark, New Jersey, firm of Saiber Schlesinger Satz & Goldstein. Clients that Mr. Touitou has represented include Chubb Insurance Group; American International Group, Inc.; Gulf Insurance Group; Zurich N.A. ; Westport Insurance (GE), Renaissance Re, CCC Insurance Co. (Bermuda), Ltd.; Western Union Corp., Inc.; Herbert Mines Associates, Inc.; Hallmark Entertainment Inc.; and Crowne Media Holdings, Inc.
Insurance Coverage - Raritan Bay Federal Credit Union v. CUMIS Insurance Society, Inc., 2009 WL 2223049 (D.N.J. July 23, 2009). Professional Liability – Matrimonial. Fleming v. Vassallo, et al., 43 A.D.3d 278, 840 N.Y.S.2d 348 (1st Dep't 2007)(Fleming III); Fleming v. Vassallo, et al., 295 A.D.2d 172, 744 N.Y.S.2d 315 (1st Dep't 2002) (Fleming II); Fleming v. Vassallo et al., 283 A.D.2d 225, 724 N.Y.S.2d 732 (1st Dep't 2001) (Fleming I). Professional Liability – Class Actions. Koehler v. Green, No. CV 405-367-JFN (D. MO., April 20, 2006), aff'd, 483 F.3d 590 (8th Cir. 2007). Directors’ & Officers’ Liability. Kew Gardens Hills Apt. Owners, Inc. v. Horing Welikson & Rosen, P.C., ___ N.Y.S. 2d ___, 2006 WL 3526763, 2006 N.Y. Slip Op. 09180, (2nd Dep’t, December 05, 2006). Professional Liability – Real Estate. Mason Tenders District Council Pension Fund v. Messera, 958 F. Supp. 869 (S.D.N.Y. 1997). CGL Coverage and Duty to Defend. United National Ins. Co. v. Waterfront N.Y. Realty Corp., 948 F. Supp. 263 (S.D.N.Y. 1996). Government Contracts, Commercial Litigation. New Valley Corp. v. United States, No. 94-78SC (DGW) (Fed. Cl. 1994). Labor, Commercial Litigation. Hotel Employees – Restaurant Employees Unt'l Union Local 54 v. Elsinore Shore Associates, 768 F. Supp. 1117 (D.N.J. 1991). Negotiable Inst. – UCC Commercial Litigation. The Bank of New York, v. Amoco Oil Co., 1991 WL 238171 (S.D.N.Y. 1991). Privacy, Gaming. Petition of Michael J. Nigris, 242 N.J. Super. 623, 577 A.2d 1292 (App. Div. 1990). "Attorney Ethics and Discipline," NYSBA Legal Malpractice 2017 Conference, New York, New York, March 24, 2017. "Ethics and the Internet | What All New York Lawyers Need to Know," 2017 NYSBA Marketing Conference, New York, New York, March 3, 2017. "Partners for Life? Partnership Agreements: Pre-nup or Healthy Working Document," 2016 Managing Partner Summit Partnerships Built to Last, New York, New York, November 15, 2016. "Limitation and Expansion of Liability: Use of engagement letters and indemnity agreements," 10th Annual Errors & Omissions Insurance ExecuSummit, Uncasville, Connecticut, June 2016. "Risk Management for Lawyers," Westchester County Bar Association, May 2013. "Lawyers as Trustees: Legal Advisor, Fiduciary or Both?" West LegalEdcenter live webcast, November 2012. "Risk Management for Lawyers," New York State Bar Association Continuing Legal Education Seminar, New York, New York, March 2011. "Emerging Claim Trends in a Depressed Real Estate Market—Something Old, Something New?" ABA Spring 2010 National Legal Malpractice Conference, Washington, D.C., April 2010. "Ethics and E-Discovery: Common Issues, Hidden Problems," West LegalEdcenter live webcast, February 2010. "Best Practices for Attorney-Client Communications—Ethical Requirements and More," Bloomberg Client Communications Seminar, Bloomberg and New York County Lawyers' Association, New York, New York, September 2009. "Optimizing the Attorney-Client Relationship Under the New NY Ethics Rules," Bloomberg Client Management Seminar 2009, Bloomberg and New York County Lawyers' Association, New York, New York, July 2009. "Review of Recent Case Law on Attorney Accounts Stated Fee Claims," West LegalEdcenter live webcast, June 2009. "Risk Management for Lawyers," New York State Bar Association, New York, New York, March 2009. "Ethical Issues for Matrimonial Lawyers," New York City Bar Association, Matrimonial Law Committee, New York, New York, November 2008. "Risk Management Techniques for Law Firms, Hudson Valley Bank, N.A., New York City Legal Services Group, New York, New York, May 2008. "Going Solo, Staying Solo, or Taking Partners," New York State Trial Lawyers Institute, New York, New York, March 2008. "Risk Management Techniques for Law Firms," City Bar Center for CLE and the Professionals' Officers' and Directors' Liability Committee of the Tort Trial and Insurance Practice Section of the American Bar Association, New York, New York, December 2007. "Death, Old Age, Retirement and Withdrawal: A 2007 Partnership Law Update," West LegalEdcenter live webcast, August 2007. "Recent Notable Development in Partnership Law," a West LegalEdcenter live webcast, January 2007. "The Relationship Between Conflicts of Interest and Malpractice Claims," Hinshaw's Professional Responsibility & Risk Management Conference, New York, New York, October 2006. "Evolving Duties," Hinshaw's "2006 Legal Malpractice & Risk Management Conference," Chicago, Illinois, March 2006. "State of the Insurance Market—2005," Hinshaw's Professional Responsibility & Risk Management Conference,New York, New York, October 2005. "The Examination of Limited Liability Corporations and Limited Liability Partnerships," a West LegalEdcenter live webcast, April 2005. "What Every Attorney Should Know About Professional Liability Insurance," New Jersey Institute for Continuing Legal Education, Edison, New Jersey, July 2004. Mr. Touitou has been quoted in a number of publications, including The Wall Street Journal, New York Law Journal and Risk & Insurance Magazine. His publications include "Directors and Officers: The Role of Motive in Defining the Line Between Good Faith and Bad," published in Bloomberg Law Reports®, Vol. 4, No. 2, February 7, 2011.